Blog about various hacks & projects i'm working on. Here's a collection of hints on how to do stuff on your Gemini they don't tell in the official documentation. Just a warning for non-hacker users: The Debian Linux for Gemini is still early alpha (12. Apr 2018) and it's not usable for daily work yet. Xorg uses slow software rendering, keyboard mapping is not right, Fn-modifier doesn't work so you can't type some characters etc. The best way to use it is from another computer via SSH. This is why it's called technology preview. Anyway, make sure you have everything backed up and ready to reflash everything if something breaks. 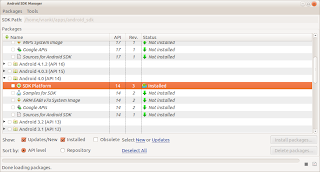 There is now official Linux version of the flasher tool provided by Planet. Use it. This works directly on Ubuntu. Usage is documented in the script itself, please read it. GDM display manager from Gnome doesn't seem to work. Gray screen after logging in. Use the default display manager. In Gnome the WiFi password dialog doesn't seem to work from top right corner menu. Open Settings / Network from menu, from there you can connect. By default Debian uses connman for managing network connections. You might want to remove it and install NetworkManager which is more commonly used by desktops. Don't try to mount the android system partition from Linux, at least in rw mode. Android won't boot after that and you'll need to reflash. It's possible to boot TWRP to install other distributions such as Sailfish on the Gemini. But booting it can be tricky. TWRP for Gemini can be found here. Copy the files you want to flash with TWRP to Android Download folder, sd card or other place accessible from TRWP. Power on the device by holding ESC for until screen turns on. TWRP should launch. NOTE: Next time you boot Android, the recovery partition will be wiped and you need to repeat this! Download the sailfish .zip file to Android's Download directory. For some reason TWRP didn't find it if i just copied it to Android filesystem via Debian. MicroSD card should also work. Select the .zip from Downloads and install. Power off and boot to Linux. Sailfish should start. The tutorial is a bit broken but you should get past it. GUI for this would be nice. NOTE: You can access Sailfish sysroot from Debian at /.stowaways/sailfishos and Linux sysroot from Sailfish by mounting /dev/mmcblk0p29 in any directory. UPDATE 22.2.2017: Found 2 more sources for eye angular resolution, updated calculations based on it. 0.3 -> 0.6 arc-minutes. In recent years it’s become a trend to force icons off in many multiplayer flight simulator arenas. The icons are said to be unrealistic and not needed for realistic simulation. As a real life pilot I have noticed that in real life you can see an aircraft several kilometers away and see it’s color, attitude and larger details. In flight simulators the same is not possible - you just see a pixel or few. Seeing your opponent as soon as possible is paramount in air to air combat. I decided to study the issue and found out that icons must be used if you want to fly realistic air combat. Icons are a compromise caused by limitations in current display technology. You can fly without icons, but then the visual detection and identification ranges are much shorter than in real life. Human eye is not a digital camera. It is analog device and has various smart features. The eyes move constantly and paint the image in our brain. Regardless of this, we can calculate a resolution for eyes for comparison. According to , human eyes have FOV of about 200 degrees horizontal and 130-135 vertical. There are several different values for the visual angle or one “pixel” in human eye. According to  it's 0.3 arc-minutes. According to  it's 0.6 arc-minutes. According to  (page 16 table) it's 0.63. Let's assume the correct value is 0.6 arc-minutes which is 0.01 degrees. If we limit our study to a more moderate usable FOV of 120 degrees in both directions, the human eye resolution is 144 megapixels . A average modern monitor has resolution of 2560*1200 pixels. This is about 3 megapixels. The FOV is usually about 75 degrees in a flight simulator. We can calculate how many pixels we would need in a monitor to match the eye angular resolution for 75 degree image: 7500*7500. That would be 56 megapixels. One more geometry exercise: How many “pixels” wide is an aircraft with wingspan of 15m at 10km distance? On a 2560*1200 monitor with 75 degrees horizontal FOV one pixel represents 0.0293 degrees . The aircraft is 0.0859 degrees wide. This gives 8.6 “pixels” with human eye . You should be able to see its orientation and larger details quite well. With a monitor, this would give about 2.9 pixels . You might be able to see aircraft color, but not orientation or other details. Even noticing the aircraft against terrain would be difficult. With first generation VR headsets (OR CV1, HTC Vive, etc) the resolution issue is even worse - they typically have resolutions of about 1200*1200 which is less than half of the typical monitor used here. FOV is luckily better (110 degrees on both). In addition to resolution one important factor is the peripheral motion detection. Eyes and brain are able to detect targets moving against background outside the high-resolution central vision area. When flying, this is very important as it allows noticing other aircraft when looking elsewhere. It's difficult to measure any significant numbers on the motion detection so it's excluded in this study. I also didn't find any data on if or how well this works on monitor compared to real life. At least the FOV is significantly smaller on monitor which naturally has an effect on target detection. As the chapters above explains, icons are mandatory for realistic air combat in visual range. Many simulators implement icons in sub-standard way, and they often either unrealistic (too long range / visible through cockpit) and ugly (line of text). Use these ranges as baseline. Make sure that in multiplayer situation all players have the same settings forced. Players should have option to turn off icons, if they want. Make the icons look good. Use alpha blending to gradually display them. Darkness, clouds, fog and sun glare should decrease the distances. Icon must not be shown if the target is behind obstacle (mountain) or in other way not visible from cockpit. Use visual means to display distance (a bar or arc instead of text). Distance is difficult to judge visually so this doesn’t have to be very accurate. Keeping the target in view for longer period can increase the distances. For example you might be able to detect a target or identify it's type if you look at it for several seconds. It is more difficult to notice targets against ground than against sky. Reduce the distances, if the target background is ground. Large aircraft should be detected and identified from longer distance. For an example of well working icons, take a look at World War 2 Online. See videos of the simulator to see how the icons work. Digia (owner of Qt) is working on official Android and iOS ports of Qt, but meanwhile Qt applications can be built and run in Android using Necessitas, an open source project which forks official Qt SDK. Currently it is still in beta phase but is already usable. This document has been written in early February 2013 so it may not be valid with later Necessitas versions. Launch SDKMaintenanceTool from Necessitas. Select the desired API level from Miscellaneous/Android NDK. 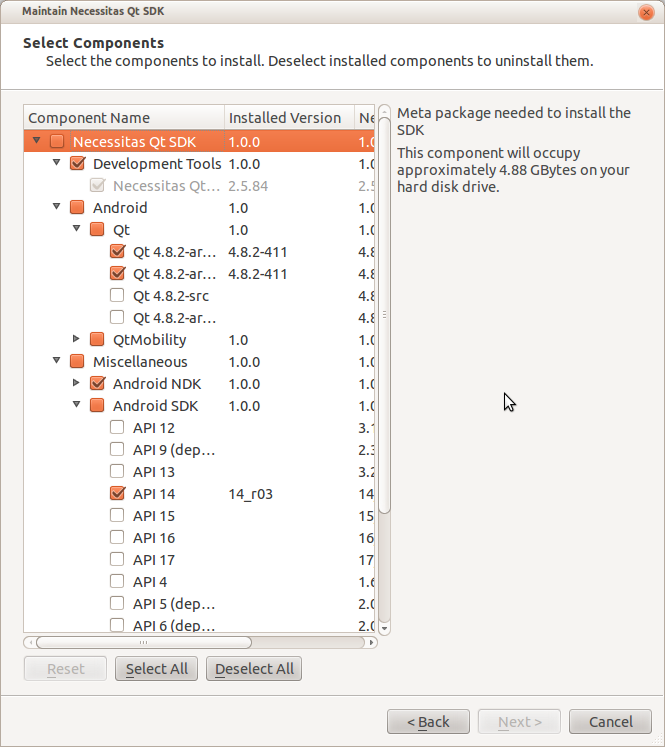 You could here also install Android SDK under Necessitas if you don't already have it installed. Note: While testing API level 10 seemed to work the best. Later versions launched always in AVD even when a device was connected. 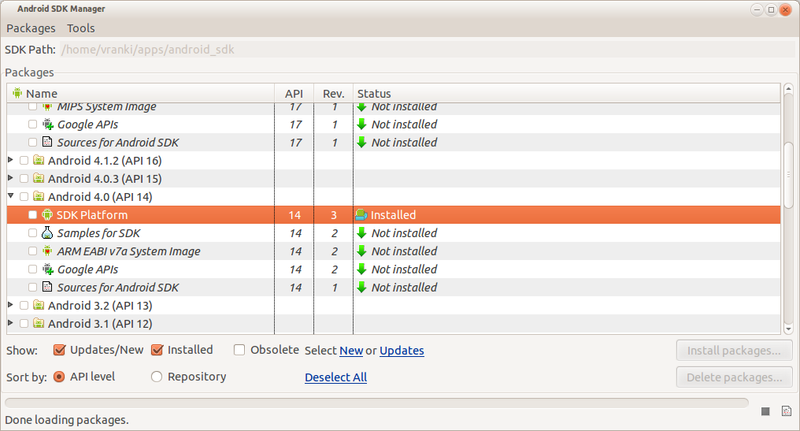 Load the Android SDK version you want to support using android_sdk/tools/android tool. Open a project (existing one or create a new). A "Configure Project" dialog is shown. 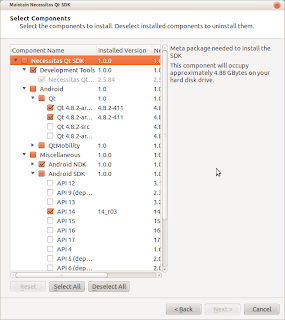 Set the project as "Necessitas Qt 4.8.2 for Android armv7a" project. You can also select other platforms you might want to build to. Select from menu Tools | Options and Android page. Set "Android SDK location" to the path you installed Android SDK. If you need to create a Android Virtual Device (emulator) create it now. Click "Ok" to close dialog. Click on build configuration icon in bottom left corner, above "Run" button. Select the Necessitas build and Debug or Release, which one you prefer. 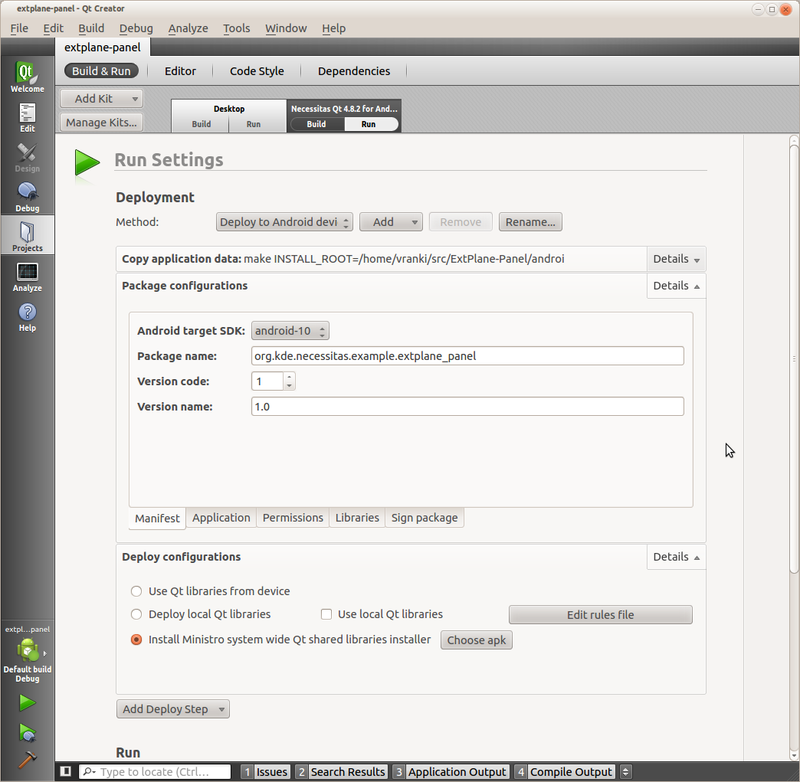 Click Projects (on the left side bar) -> Run Settings -> Deployment -> Package configurations -> Android target SDK. Change it to the android version you plan to use. In "Deploy configurations" you can select wheter to include Qt libraries in your package or use Ministro to download libraries on demand. Ministro seemed to work on device but not in AVD. Ministro is a "library downloader" which will install the required Qt libraries to Android so that they can be shared between Qt applications. Press Ctrl-b to build the application. Press Ctrl-r to run the application. Application should start in device (if connected) or in AVD. Sometimes i got error "Found some build errors in current task. Do you want to ignore them?" but ignoring errors worked and the application would run nicely. using Necessitas can be and have been published in Google Play store. I need to edit some videos randomly. Nothing professional, mostly some clips from a GoPro or cell phone video camera. I need to cut & paste clips and add music soundtrack. This should be the basic feature set of any video editor, but unfortunately most of them fail one way or another. Here is a comparison of few free video editors available. They are tested on Ubuntu. Current winner. Does all I need without issues. UI could use some polishing, but good enough. Decent video player. Crashes randomly but is still usable. Ui misses some features, such as moving a clip to end of previous clip which makes editing long videos painful. Also there's still no way to select multiple clips. Mediocre but not bad UI. Preview becomes so slow that it's practically a slideshow with multiple 720p videos. Crashes frequently. Development is active but work is done for next version based on gstreamer editing services. I had a problem with rendered files having zero size, but this was fixed by removing gaps from the project. Many thanks to thiblahute on #pitivi. Crashes so often that it's useless. UI looks like it's from 90's. Spawned from VLC media player. Looks promising but i suppose develoment is dead as the official repository doesn't have packages for current or previous Ubuntu release. Copy-paste that on a single line and then just /channelsaveall. I want to add force feedback support to my CH fighterstick. Currently no one makes consumer-priced force feedback flight sticks, so I can't buy one. This project started a few years ago and has lasted over several iterations. 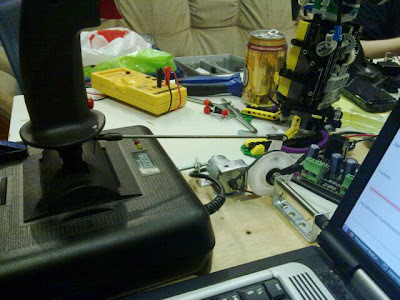 The first version had a large RC car servo connected to the stick. For prototyping i implemented force feedback only on elevator axis of the stick. 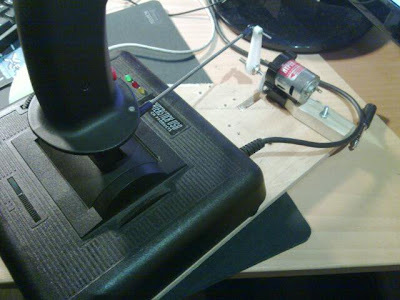 I bought a serial servo controller and a usb serial dongle to control the servo and wrote a plugin for X-Plane to control it. It worked well and caused good force, but the stick could not be "relaxed" at all. In slow flight i needed to push or pull the stick quite hard to move it (and the servo). High-speed aerobatics felt really good though, so i knew i was up to something. Unfortunately this was not realistic enough so i ditched this prototype. I found a few old printers from electronic waste bin at work and looted them for parts. They contained many usable parts such as motors, axles, gears and belts. I set up one motor (don't know the specs, maybe 300 size) with a belt to a larger gear to get a sensible gear ratio. To control it i bought a Phidgets USB motor controller board. Unfortunately this time controlling the force was difficult - with low power it just made noise and with large it suddenly started moving rapidly. Also the maximum force was not large enough. The belt slipped sometimes, no matter how i adjusted it. It wouldn't work so i ditched this one too. This time i decided to make a more powerful version of the last prototype. I got some stuff meant for RC planes: a gearbox and a Speed 400 motor. They fit perfectly together and felt mechanically strong. This time there was plenty of power. I hooked up a multimeter to monitor current use and the largest current measured in beginning of tests was 19A. I decided to not to monitor current longer as the multimeter was meant for currents only up to 15A. After a little tuning the thing seemed to work! 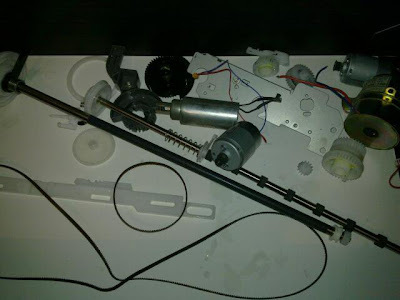 I removed the centering spring from fighterstick and did some additional testing until smoke started pouring out of the motor. Third fail. Clearly electric motor is not the way to go. If i used a larger motor, the current would go even higher and over the limitations of the controller board. Using larger gear ratio would cause the same problem as with servo - it would be impossible to cause small or no force. I bought a touchscreen monitor to use in my simpit a while ago. Unfortunately after that I noticed that X-Plane's external cockpits don't support any input - I can't press buttons and turn knobs using finger. I almost got dismotivated by that but decided to do what any of us would do: write a plugin for X-Plane to support input from external apps and software to run my panel. The panel, called ExtPlane panel is a "client" for ExtPlane plugin. It displays a 2D panel showing various instruments. It can read and write X-Plane's datarefs via ExtPlane and display any information on screen. Currently it's aimed for making sharp, antialiased scalable vector graphic displays (as opposed to X-Plane's bitmap based) but in future "anything" can be done. Instruments can be added, moved and removed using mouse just like in X-Plane's Plane Maker. The panel is written in Qt, so naturally i wanted to see if it would run on my Nokia N900 cell phone. As you can see, it runs without any modifications. Also there are no wires - The N900 communicates with X-Plane over WLAN connection. On the left is a airspeed gauge and on the right a compass. Currently they are the only instruments available, but it's very fast to write new ones using the framework provided. The airspeed indicator is 40 lines of code and compass is 37. The instruments can have configuration UI so that for example you can set the units used in airspeed indicator. I'll probably soon write some "generic" instruments that can show value of any dataref, just like in X-Plane. All instrument graphics are vector graphics so they can be freely scaled and rotated while keeping graphics crystal clear. You can run the panel in portrait or landscape mode, or even with any angle. If you're not a developer and don't know how to build from sources, ExtPlane is not ready for you just yet. I'll need to add more instruments and do some more finishing until I'll start making binary releases for general public.